Even though I am not working in the testing grades this year, I can feel the stress and tension from my colleagues who are. Can you? 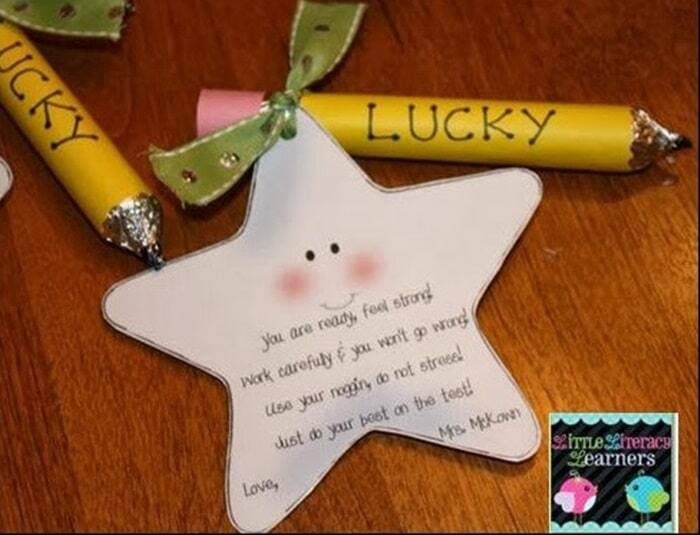 I wanted to share this little Lucky Pencil testing encouragement treat I made for my students last year. “You are ready, feel strong! Work carefully & you won’t go wrong! Use your noggin, do not stress! I am a mom, wife, and a Nationally Board Certified reading teacher here to share literacy-based activities and resources, for our little literacy learners!